The flyer found below, lists the major sponsors for the show, together with other information. We would like to give special mention to Pastor Dewey Moede and his ministry FGGAM.org for their generous sponsorship donation. 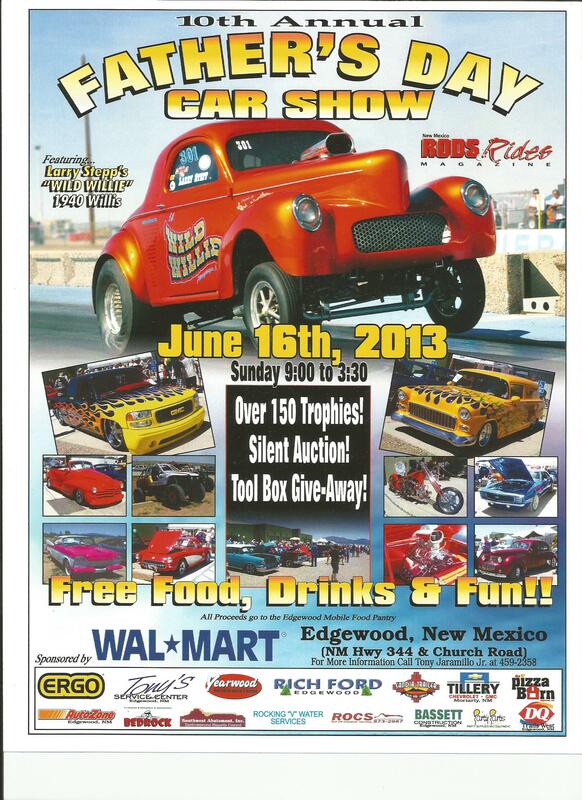 Please call Tony Jaramillo Jr at 505-459-2358 for questions and please support the sponsors of this event.